Lifesize Support from Technical Partner of the YearWhen it comes to resolving your support needs, Perfect Video Conferencing and Lifesize share a commitment to resolve any support issues as quickly as possible. Perfect Video Conferencing and Lifesize are always ready to help you get the most from your Lifesize solution. 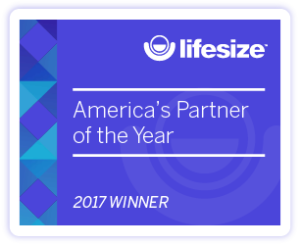 Whether you need to talk to someone in your time zone or to access technical documentation, Lifesize is committed to supporting customers all across the globe.